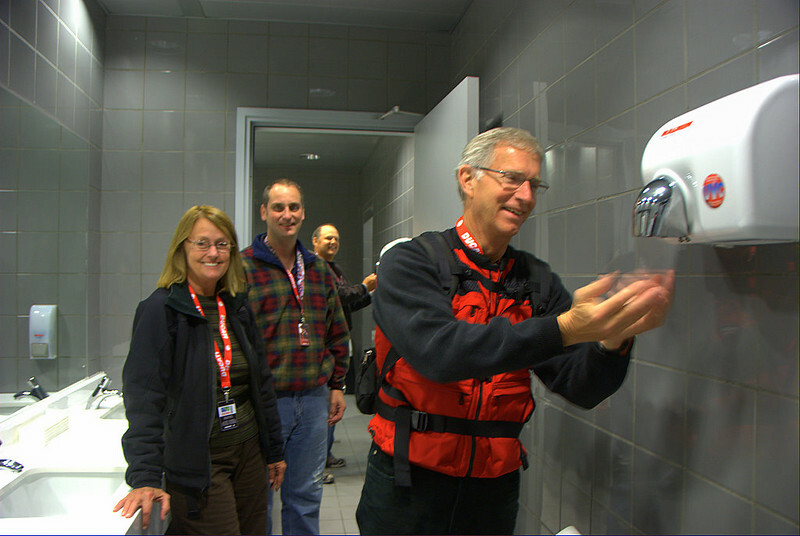 That's Robin Lawrence, his wife Gail, Rich Lambrechts and Dwayne Freye, enjoying one of Italy's famous co-ed bathrooms. Dwayne and Robin are the winners of the Ducati Superbike Concorso and this trip to Milan is the "Ducatisti Trip of a Lifetime" they won from Ducati North America as owners of two of the best Ducati Superbikes in America. The press conference was the first of many events they get to see over the next week. Now it's off to find some vino and grab a few hours sleep - tomorrow is a very big day!